The Porsche Cayenne has been a big success for the German automaker. It has been on the market since 2003 and the redesigned Cayenne won the 2011 Motor Trend SUV of the Year Award. Now other luxury brands have plans to bring their own sporty SUVs to market. It has been reported that Lamborghini, Jaguar, and now Maserati are all moving forward with production of an SUV model. Maserati is a luxury Italian automaker that has been in business for nearly 100 years. 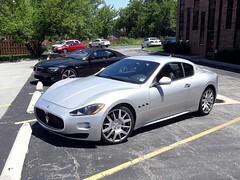 It currently offers two models for sale in the U.S.: the GranTurismo, and the Quattroporte. The Gran Turismo is a two-door four-seat coupe while the Quattroporte, as its name implies, is a four-door sedan. Both have powerful V8 engines that are produced by Ferrari and cost more than $100,000 brand new. The planned Maserati SUV will reportedly be based off the Jeep Grand Cherokee’s platform and built at the same plant, Chrysler’s Jefferson North assembly plant. The shared platform makes sense for cost savings as Maserati is owned by Italian automaker Fiat and Fiat currently owns a 53.5% share of Chrysler. This Maserati SUV would truly be an amalgam of global engineering as in addition to American parts and Italian engineering and design influences, the model would also inherit the Mercedes-Benz designed platform the Grand Cherokee uses. 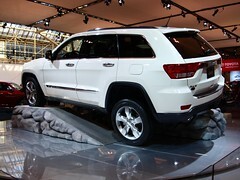 As for the 2012 Jeep Grand Cherokee, there are a few changes despite the 2011 model being all-new. 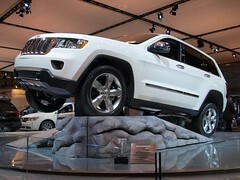 The entry-level Laredo front-wheel drive price drops a steep $3,220 for 2012 to $26,995. However, nothing comes for free as once-standard features such as 8-way power seats have been removed and the price of optional packages has shot up. The Laredo’s optional leather seat package is now an added $5,300 compared to $4,000 in 2011. The model has an added gear in its transmission for 2012. Both the Pentastar V6 and Hemi V8 now have six-speeds, which should help for very minor increases in fuel economy. Also, the V6 now comes with an electro-hydraulic power-assisted steering wheel. 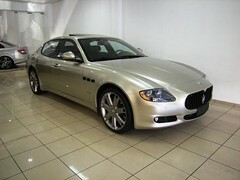 This Maserati motivates me to buy SUV’s This car is different from all.